With Pure Sofa designer Andrei Munteanu reduces design to the essence, devoid of all excess: pure simplicity and elegance. 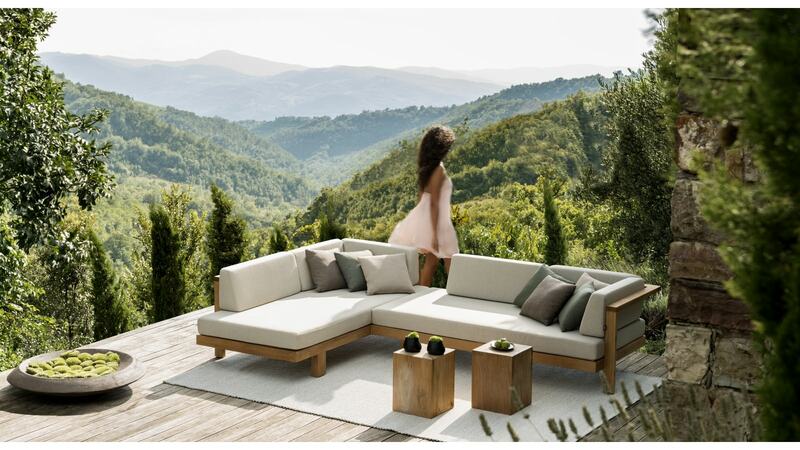 This modular outdoor sofa consists of five elements that combine easily into a corner sofa, long couch, lounge bed, etc. The sofa is available in high-quality teak or in off-white lacquered mahoganoy, both from Indonesian plantations. Cushions are available in 2 different designs and numerous luxury outdoor fabrics.